Industrial Grade PET Braided Sleeving on spools. 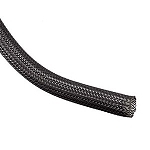 With an exceptional weave, strong material and great expansion range, Industrial Grade PET Braided Sleeving is perfect for both do-it-yourselfers and professionals that would like to protect and add aesthetic appeal to running cables and hoses. 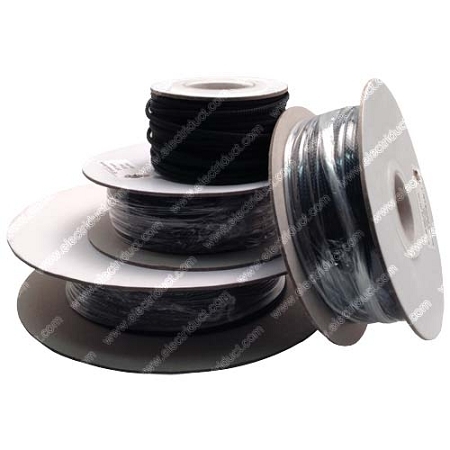 PolyEthylene Terephthalate (PET)is a very sturdy material offering high tensile strength, good chemical and abrasion resistance, making this braided sleeving useable in automotive, computer and electronic applications. Working temperature: -50? to +150? Click the "More Information" tab for test report. Sizes are approximate and measured flat. 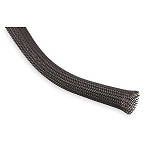 Sturdy, expandable, easy to use braiding to protect and herd loose wires. Order 4 different sizes to use in various projects. Good quality items. Great service. Easy to order. Great communication regarding order and delivery. Quick delivery.